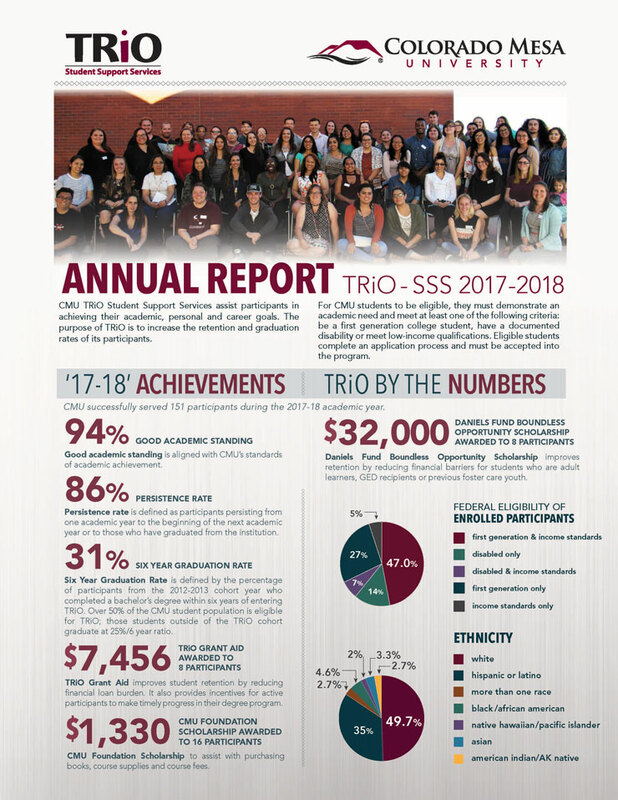 CMU’s TRiO Student Support Services annual report revealed that the program is having a positive impact by increasing retention and graduation rates among student participants. 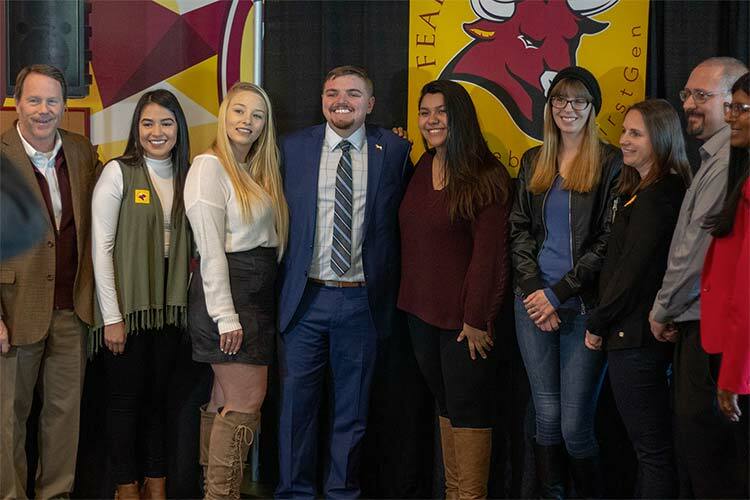 The report, which was distributed in March 2019 by the program director, said CMU successfully served more than 150 student participants during the 2017-2018 academic year. The report also included examples of TRiO student success stories. One example includes Kwasi Kyeremeh Dapaah who was recently hired by Lockheed Martin Space Systems. The focus of the report highlights academic statistics and service highlights. Information for the report is comprised of statistics compiled annually as required by the U.S. Department of Education, which funds TRiO. Additional statistic and information are available by contacting the program director. Partnership organizations and supporters of TRiO include the Daniels Fund, the United States Department of Education, the CMU foundation and several CMU departments.